Yay! Summers are finally here; it's that time of the year again when you start planning for a vacation with the family. This year, in particular, I am taking the kids to the same place where a decade ago, just immediately after tying the nuptials, me and Sadhna spent our honeymoon together – Singapore, the Lion City. Even though both Rishab (8) and Saanvi (4) are super excited about this upcoming trip, they're also a bit anxious about the deluge of holiday homework from school that they would be expected to complete before the school reopens in July. 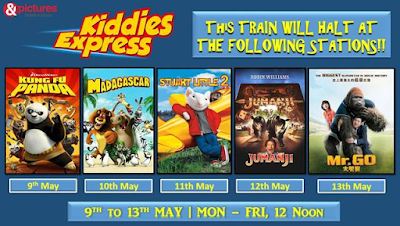 Luckily, &pictures, India's premium mass Hindi movie channel, is coming to their rescue by presenting an opportunity of a perfect afternoon for kids, ensuring that they get some respite from both the heat and the mundane holiday homework. 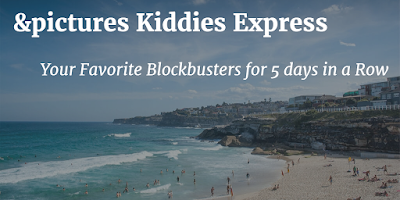 Children can watch their favorite blockbusters for 5 days in a row in May, each movie carrying a subtle life lesson in the most entertaining way. From Monday, May 9, 2016 to Friday, May 13, 2016, &pictures will air a blockbuster daily at 12 noon. The summer movie festival courtesy &pictures is called the 'Kiddies Express' and it promises to take you on a fun-filled ride. 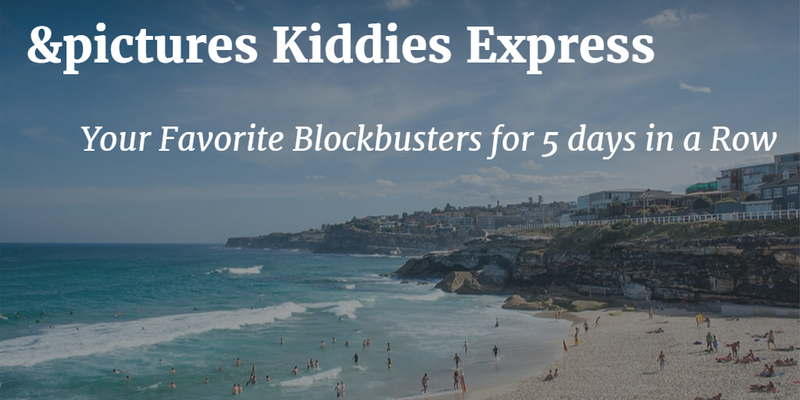 Here is some info about the five movies to be telecasted on &pictures 'KiddiesExpress' that'll transport your kids into a land of imagination. In the Valley of Peace, Po the Panda, accidentally gets chosen as the Dragon Warrior despite being obese and a complete novice at martial arts. 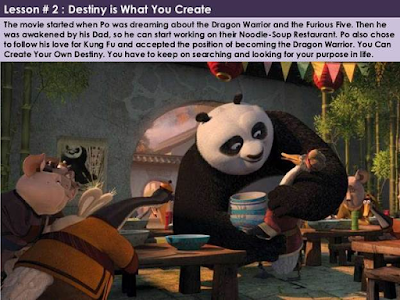 Directed by John Stevenson and Mark Osborne, Kung Fu Panda has voices of veteran Hollywood stars like Jack Black, Dustin Hoffman, Angelina Jolie, Ian McShane, Seth Rogen, Lucy Liu, David Cross, Randall Duk Kim, James Hong, and Jackie Chan. Po: "Maybe I should just quit and go back to making noodles." 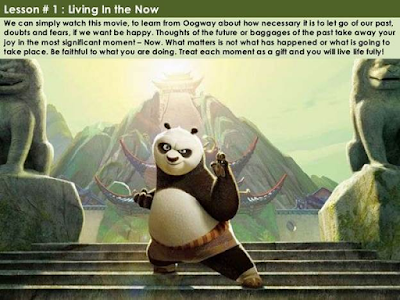 Oogway: "Quit, don't quit ... Noodles, don't noodles ... You are too concerned about what was and what will be. There is a saying: yesterday is history, tomorrow is a mystery, but today is a gift. That is why it is called the present." Showcasing the story of four animals who spent their lives in blissful captivity of Manhattan’s Central Park Zoo, Madagascar promises to take you on a rollercoaster ride with voices from legendary Chris Rock, Ben Stiller, Jada Pinkett Smith, and David Schwimmer. Chris lends his voice to Marty, a jaded Zebra ready for a change after decade of comfortable captivity at the Zoo. Marty cuts and runs for the green fields of Connecticut, prompting a rescue mission by his three best friends: Alex the lion (Ben Stiller) - the Zoo’s star attraction, Gloria (Jada Pinkett Smith) - a bossy hippopotamus, and Melman (David Schwimmer) - the clumsy, hypochondriac giraffe. The film prompts us to rejoice everything that life throws our way – even the little things in life – and like Kurt Vonnegut says, "One day you'll look back and realize that they were the big things!" My favorite kids’ movie of all-time, Stuart Little 2 is probably one of the best family entertainers with subtle humor, adorable characters, and touching script by Academy Award winner, Bruce Joel Rubin. The story unfolds with Stuart’s brother, George (Jonathan Lipnicki) having found a new friend to play with, which leaves Stuart (Michael J. Fox) feeling sad and neglected. His mother Mrs. Little (Geena Davis) is overprotective of her minuscule younger son after he narrowly escapes an injury in a soccer game. His father (Hugh Laurie) sympathizes yet reminds Stuart of an old family adage: "Always look for the silver lining in the cloud." The silver lining for Stuart appears when he rescues a homeless bird named Margelo (Melanie Griffith) from the sinister Falcon. They eventually become good friends. All is well until Margelo disappears one night. Stuart is convinced that Falcon is responsible for her kidnapping and ventures out with family cat Snowbell (Nathan Lane) to rescue her. 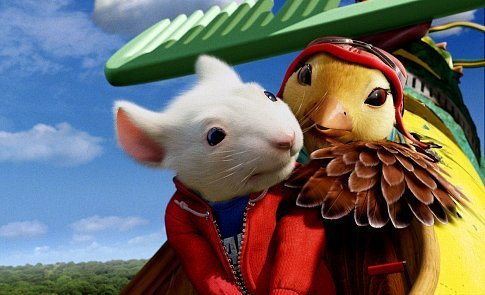 Stuart Little 2 is a must-see, for its characters, dialogs, music, animation, and fun moments. 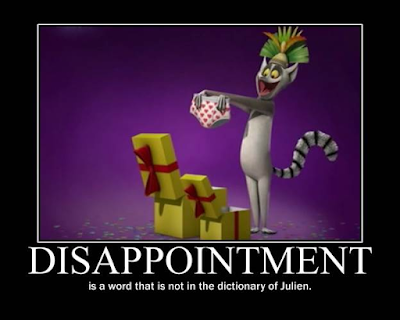 The main protagonist is courageous and humble, while Snowbell is downright hilarious. The visually impressive film renders wholesome entertainment for kids; Stuart in particular enlightens us on key values like determination, trust, respect, and acceptance. Based on a classic picture book story by the same name, Jumanji transports you to a magical, mystical ride. It is the kind of movie that combines adventure and comedy in perfect proportions. A timeless adventure film, Jumanji revolves around two kids who while playing a magical board game release an adult trapped in the game and encounter various dangers until the end when the game is completed. 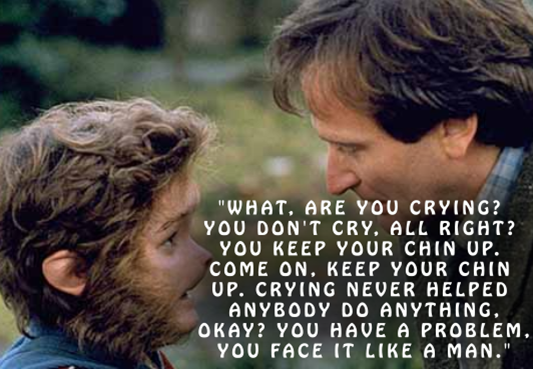 Written by Greg Taylor, Jonathan Hensleigh, and Jim Strain, Jumanji stars the late Robin Williams, Kirsten Dunst, David Alan Grier, Bonnie Hunt, Jonathan Hyde, and Bebe Neuwirth. Having lived in South Korea for seven years, I will always rate Mr. Go as one of the best family films of all-time. Watch this film for its crisp narrative and truly amazing technical expertise. A movie with big laughs, big emotion, and even bigger thrills. 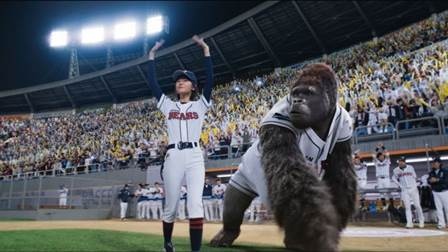 Based on the classic 1980's comic '7th Baseball Club', the titular character is a 285 kg circus gorilla, the first to be recruited by a savvy baseball agent to join the professional Korean Baseball League. A must-see film, Mr. Go makes you smile and cry with joy, through its heartwarming, poignant, and inspirational storytelling.